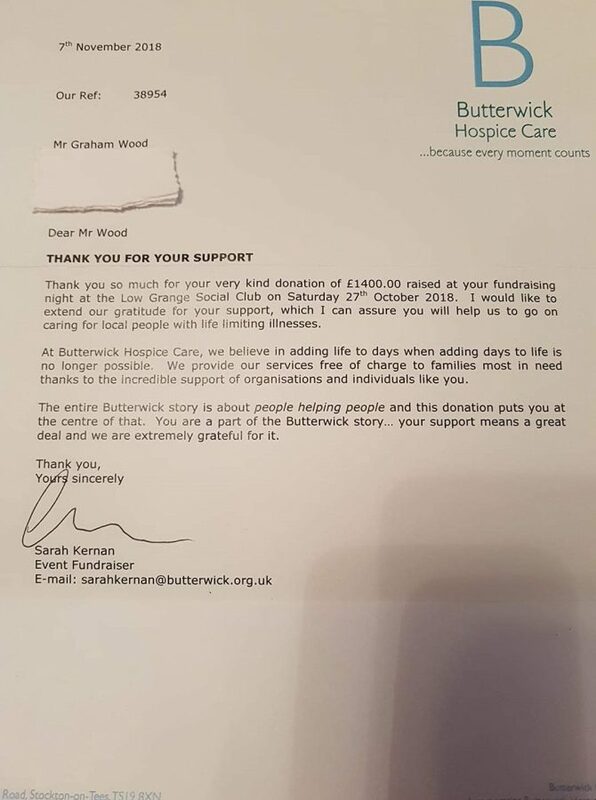 The Butterwick hospice fundraiser was organised by Graham Wood who does so much for charity throughout our area and who has won awards for all his hard work fundraising and the time he has given to this. 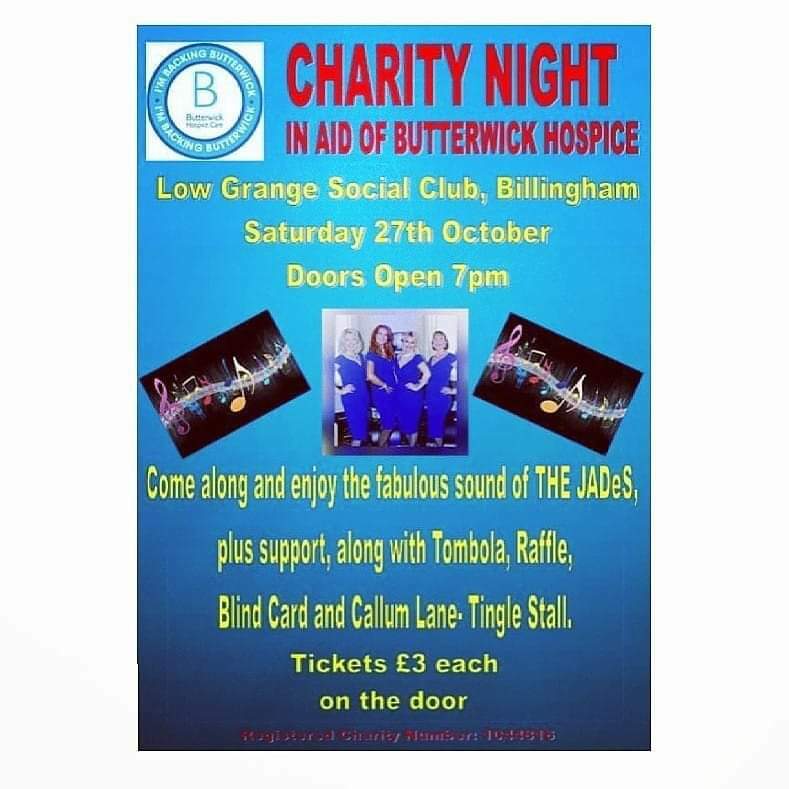 Thankyou Graham for you’re continued hard work and support how could we not help this wonderful event and charity. 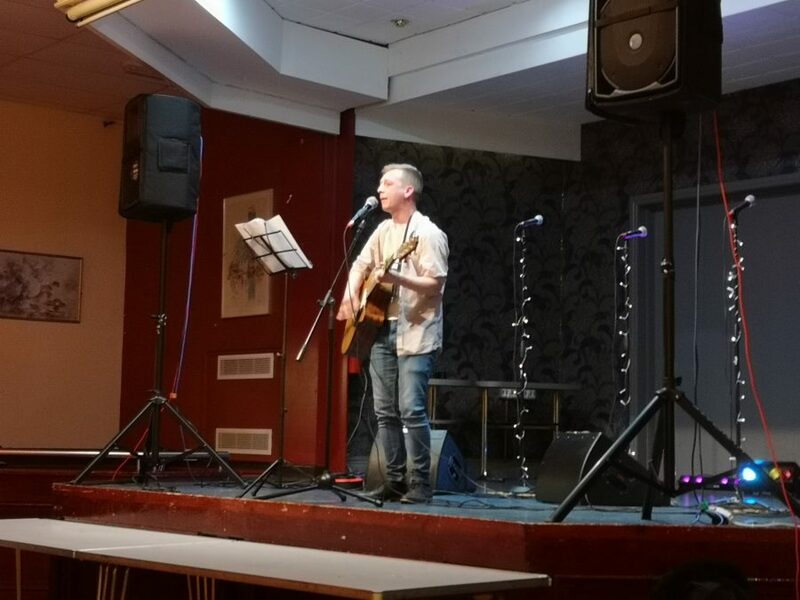 The evening was held at The Low grange Club in Billingham, the staff were wonderful as were all the volunteers from the hospice who came to help out with the evening. 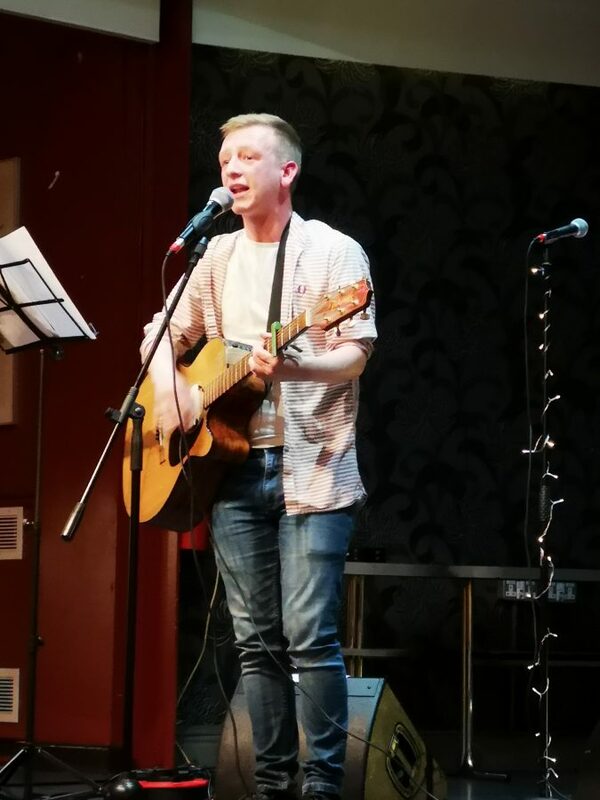 The evening started with Liam Bradley who preformed songs from artist such as oasis, the verve and the stereophonics to name a few, fantastic singer, find him on facebook as Liam Bradley Music. 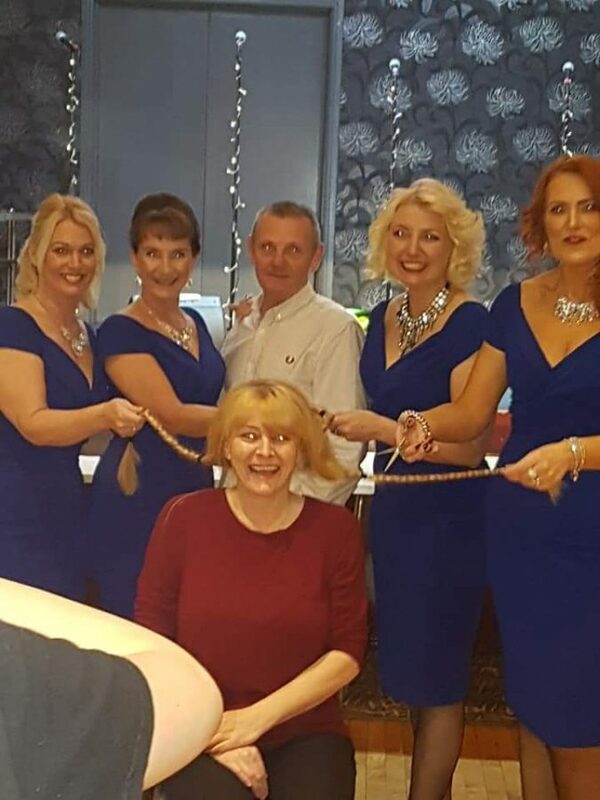 Michelle who runs the Three Horseshoes pub and restaurant in Billingham was extremely brave and had her wonderful long locks cut off to donate to The Little princess trust, we were awe inspired such a wonderful thing to do. 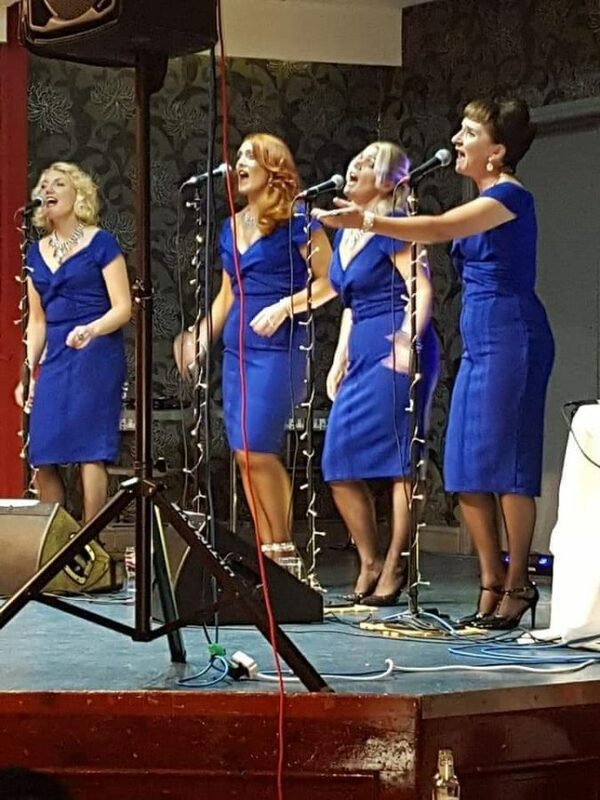 Not only that but in doing this Michelle also raised around £900 for the Butterwick hospice in sponsors for cutting her hair. 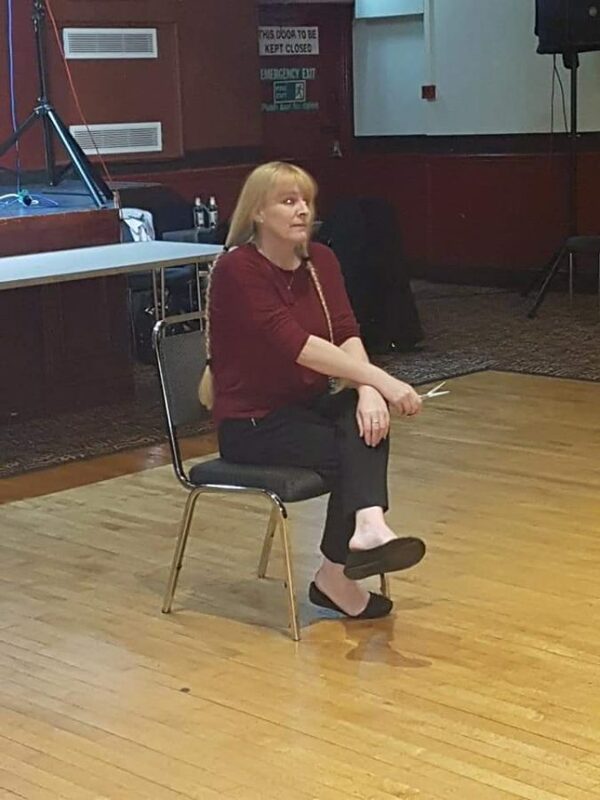 A massive well done Michelle.